Goshen firefighters (from L to R) – Rick Clarke, Sue Labrie, Chief Francis Dresser, Goshen Postmaster, Steve Mollison, Shaun Martineau, Tommy Thomas during a presentation of a replica of a 9/11 stamp which features a photo of NYC firefighters raising a flag on the debris pile at Ground Zero. 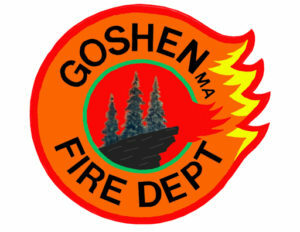 GOSHEN, MA – We were recently notified of the passing of former Goshen Firefighter and EMT Shaun Martineau. Shaun, who grew up on Ball Road, was a member of the department in the early 2000’s. According to his obituary on Legacy.com, Shaun passed away unexpectedly on December 24, 2018. He was born in Northampton, MA on April 28, 1984, to James Martineau & Cynthia (Scagel) Stone. Our sincere condolences go out to Shaun’s family and friends.